Examining my identity as a teacher— and finding it needs to change. Teachers, how do you identify? For me, I’m a biology nerd at heart. In the classroom, I stop and tell my students about how emerald jewel wasps use chemical warfare to subdue their prey. I smile when I think about how bonobos peacefully resolve conflicts. I feel well-versed in the subject and love helping my students see the world through a biological lens. Though I strongly identify as a biology teacher, I also teach geometry, engineering, and writing at an arts magnet in Boston. This is also my third year as an advisor to twelve music students. Amidst this hectic environment, I have often wished for fewer preps, as anyone would! An especial thorn in my side has been geometry. I never thought of myself as a math person and did not have particular training in its unique pedagogy. For the first two years, I secretly thought to myself that I’d put in my time, teach math as I had been taught (rote and procedural), and one of these years I would have it taken off my teaching load. There just wasn’t room in my teacher identity for math! Then a few things conveniently disrupted that narrative. First, I started reading the book Mathematical Mindsets by Jo Boaler (2015). I thought the required reading would put me to sleep one Saturday night during a meeting of Knowles Fellows, but it actually helped me realize that I could learn to be a great math teacher. Second, my principal gave me some perspective on the longer view in teaching: just as city’s infrastructure should not be fixed all at once, a growing teacher should not try to fix all areas of their teaching all at once. Improvement should be incremental, targeted, and ever-rotating in its reach. So, last spring, I took the first leap into teaching math as a social, creative, and sense-making subject. For the first time, I asked my students to work on single problems for an entire class period. I asked them to work in small groups to share different opinions and strategies. I asked them to notice visual patterns and generate questions. My students responded! I overheard a student say, “Ms. Lou is making us think and think!” and “That was fun!” They actually clapped and cheered for each other. For the first time, we felt like a community of learners. For the first time, we felt like a community of learners. While I am grateful for these joyful experiences, diving into the unknown makes me feel like a first-year teacher again. For example, while my students responded really well to open-ended problems, I was at a loss for how to cover math content without reverting back to rote and direct instruction. I also grappled with how to hold students accountable for group learning. Boaler’s book motivated me to invest in math pedagogy, but I did not yet have all the tools I needed. I don’t want people to think at this point that I’m somehow weirdly OK with discomfort. I’m not. I struggle with the feeling of “not knowing” every day. What I do know is that the possibility of learning and growing is too exciting for me to ignore. Being connected to resources and people who can support my growth helps to alleviate the uncertainty. After being inspired by Boaler’s book, I enrolled in an excellent professional development course at the University of Washington—“Designing Effective Group Work in Mathematics”—where I learned tools that deepen student thinking in inclusive settings. I also requested a coach from my school district to observe me throughout the year. My coach observes me weekly and points out concrete ways in which I have improved, and incremental ways for me to grow. Further, I’m lucky to have colleagues who are curious to hear each other’s thinking and who are supportive of each other’s growth. I feel strangely confident this year. I think it’s because I have support, some goals, a path, and learner’s mindset. Making mistakes is still scary, but I know that I’m allowed to learn from them. Making mistakes is still scary, but I know that I’m allowed to learn from them. So, six months ago I would have said, yes, of course I know myself. A biology teacher. A dog-lover. Not a writer. And yet, here I am teaching geometry, adoring my Betta fish (his name is Jackie Chan), and writing another piece on the life and love of teaching. I’m glad I learned to defy myself. Not believing just one narrative of my story has helped me stay true to myself, find support in my community, and embrace discomfort as part of the journey. 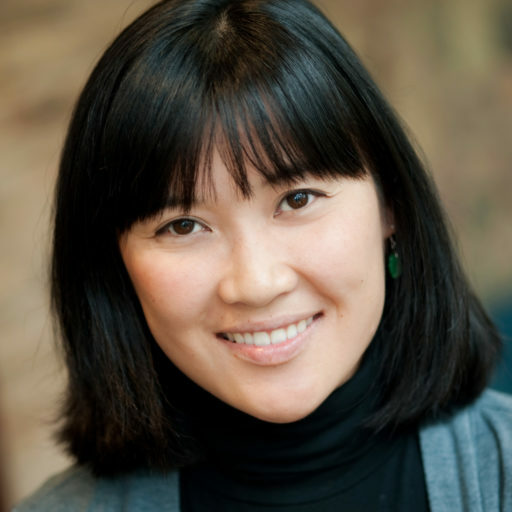 Angela Lou is a Knowles Senior Fellow and is on the STEAM team at Boston Arts Academy. She teaches math, science, and writing, and advises 12 wonderful music students. In her free time this year, she is training for her second marathon, taking a ceramics class at MIT, and wedding planning with her handsome partner, Robin. Reach Angela at angela.lou@knowlesteachers.org. Boaler, J. (2015). Mathematical Mindsets: Unleashing students’ potential through creative math, inspiring messages and innovative teaching. San Francisco, CA: Jossey-Bass & Pfeiffer Imprints. Lou, A. (2017). Learning to defy myself. Kaleidoscope: Educator Voices and Perspectives, 4(1), 27–28.